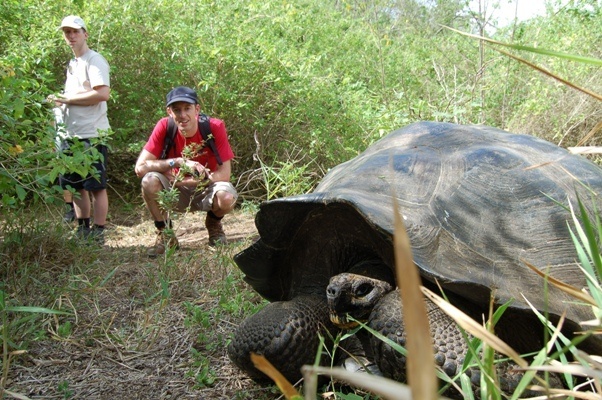 We've worked with Andando Tours in the Galapagos Islands for over 20 years! 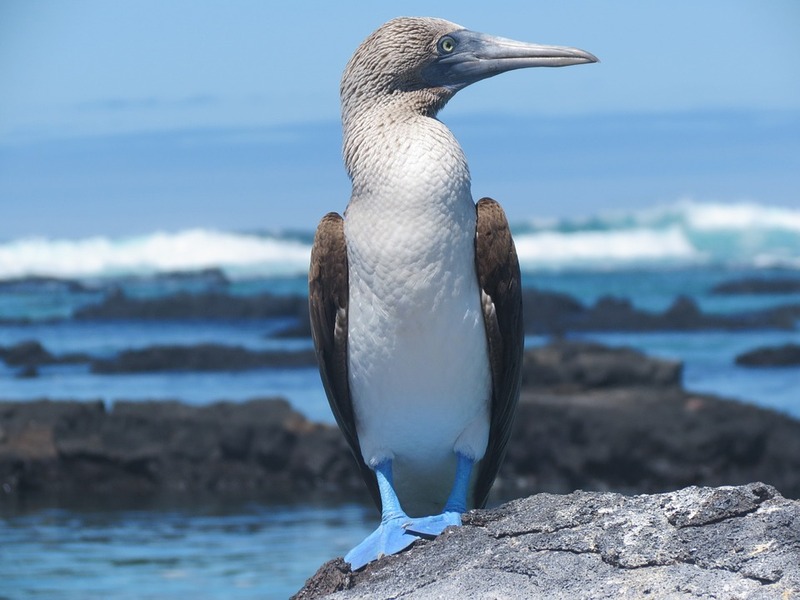 As a preferred supplier of North South Travel, we're proud to support this wonderful company who continually offers a highly personalized & in-depth experience in the Galapagos. They've also been in operation for over 60 years! If you're looking for meaningful and experiential travel, a cruise with Andando in this beautiful part of the world would be a fantastic selection. Andando is now offering fantastic seasonal rates for 2018! Contact us for more details for these great rates! Carefree travel in complete style and comfort! 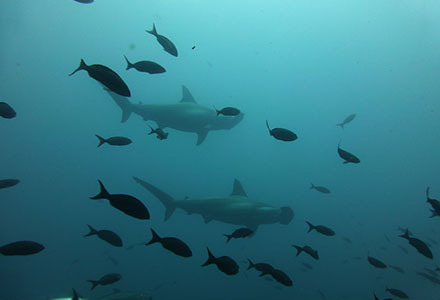 It is difficult to define luxury in the Galapagos Islands. 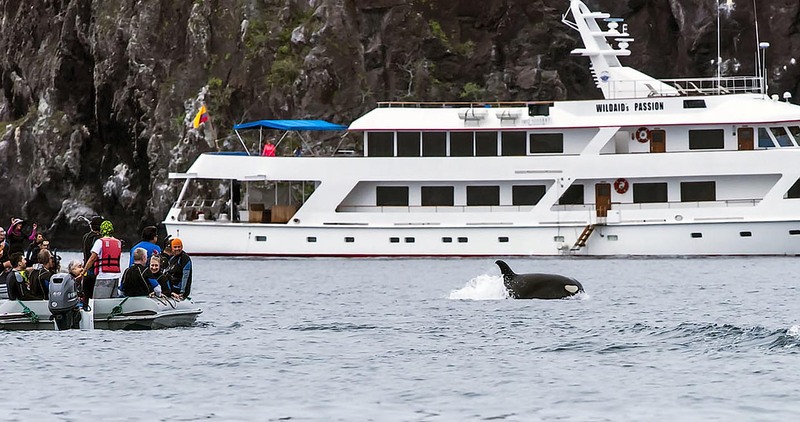 Nevertheless, the following yachts’ accommodations, value-added services, and passenger reviews meet Andando Tours’ stringent criteria to be considered luxury vessels. For the ultimate in barefoot luxury, however, there is no vessel on the Islands like the M/Y Passion. The dimensions of the M/Y Passion are palatial, inviting you to feel entirely at home. 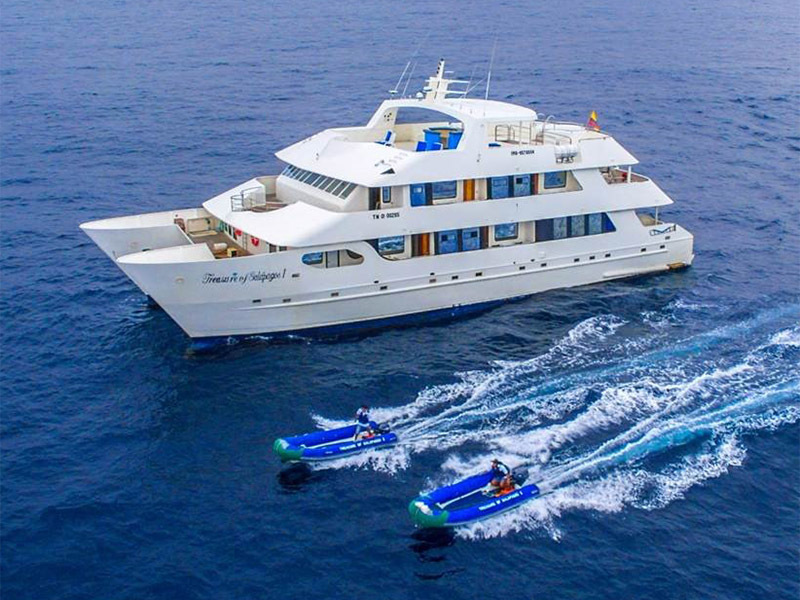 While other luxury Galapagos cruise operators carry up to 40+ passengers on yachts the same size, Andando accommodate just 12, in relaxed, air-conditioned splendor. The gourmet food on board must be tasted to be believed. Breakfast on the sun deck, dinners in the spacious dining room, and treats when you return from a day of adventure are packed with flavor and culinary surprises. The four beautifully designed staterooms each have private bathrooms with bathtubs. The Master and VIP suites feature two en-suite bathrooms each and a private lounge area. With one staff member per guest, Andando's service is truly personal. All eleven crew members are experts in navigation, while the certified naturalist guide who will accompany you is an authority on the National Park. What makes the M/Y Passion Special? Besides sitting low in the sea offering full stability while navigating, sailing ships are charming, sleek and enjoyable from every point of view. Travel around the Galapagos on our classic sailing ships, while enjoying exquisite cuisine and observing wildlife from her spacious decks. 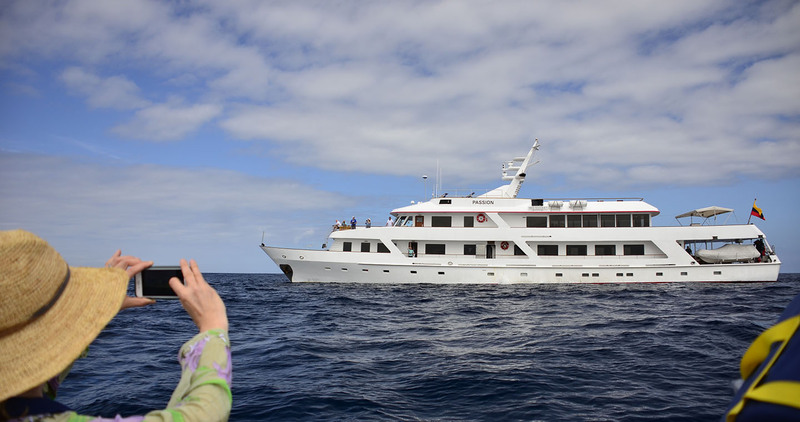 S/S Mary Anne is the sailing cruise in Galapagos that redefines comfort. Aboard the 216 ft. (65.84 m) barquentine, the journey becomes an uncomplicated form of indulgence. It means space to stretch and enjoy the experience in your own way, walking barefoot around the decks. The Mary Anne feels as spacious as the seas that open out before her. Navigating at full sail, you will not be troubled by the sound of engines, tempting dolphins and whales to swim alongside the ship. Dining is yet another thrill on board. Ecuadorian-inspired dishes including ultra-fresh seafood, prepared by the on-board chefs. 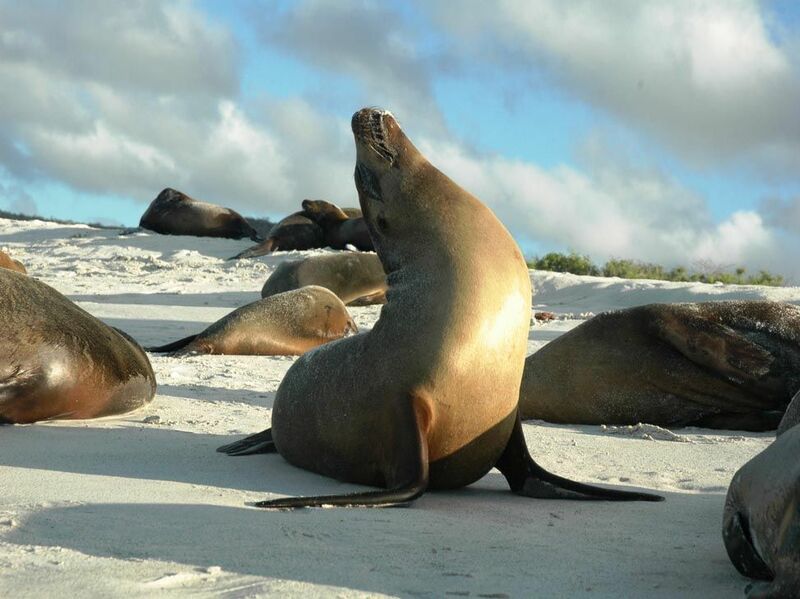 What makes this Galapagos sailing cruise special? 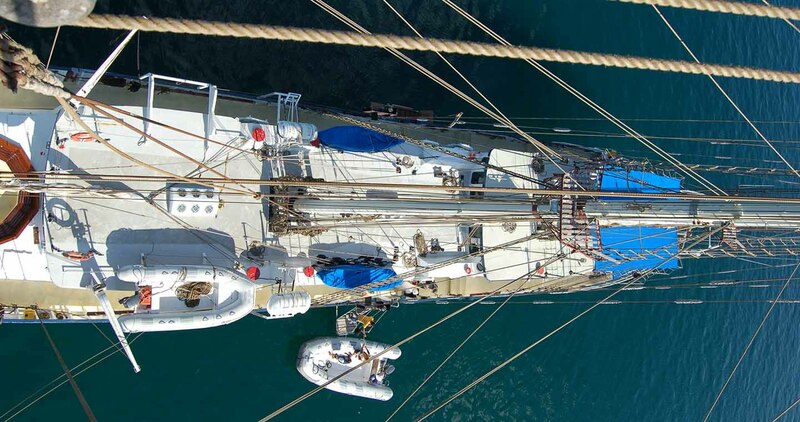 Due to its steel hull, tall masts and deep draft, the Mary Anne is one of the most stable vessels in the islands. 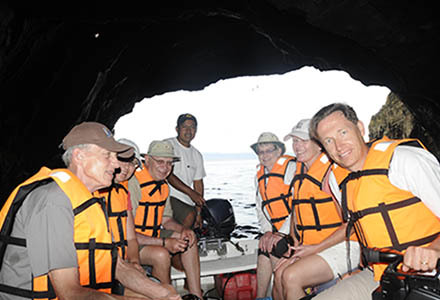 Travel with the Galapagos cruise industry pioneers. 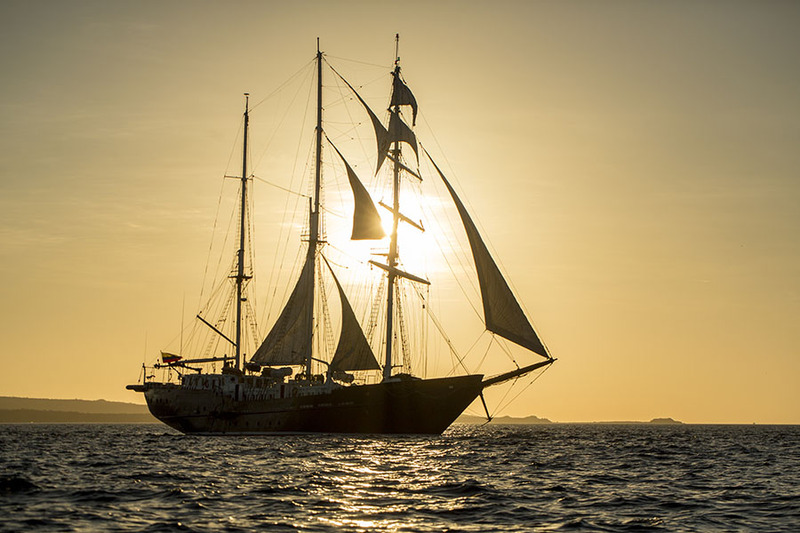 Elegant 3-masted barquentine that is the only of its kind in the islands. Navigating with full sails, you will enjoy traveling without the sound of engines, often attracting dolphins and whales. Whether traveling alone or in a group, the Mary Anne can accommodate everyone, with 6 single cabins available with no single supplement. This excellent range of boats is perfect to suit all your travel needs, while ensuring intimate experiences on board, expert and friendly Guides and one-of-a-kind encounters with the unique flora and fauna in some of the most remote visitor sites in the archipelago. 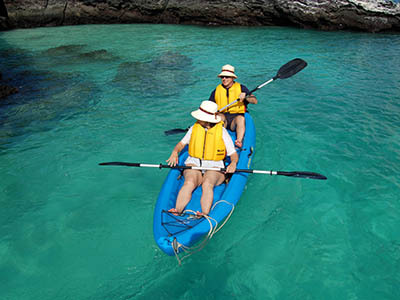 Slowly paddling under your own steam is another popular way to experience the islands, with kayaks provided complimentary on some Galapagos Island cruises. With the absence of motor noise and a low vantage point, kayaking excursions offer up-close wildlife encounters and the freedom to follow your curiosity and explore at leisure. 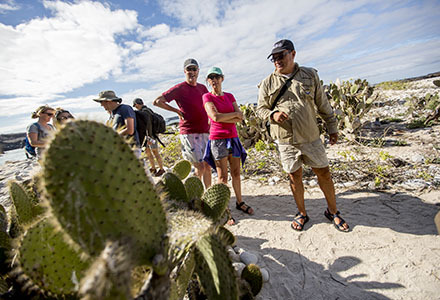 Daily hikes led by Galapagos National Park naturalist guides offer a unique insight into the wildlife, geological history and human endeavors of the islands, following clearly marked trails. Most range from one to three hours and are suitable for all ages and fitness levels, with optional extensions for those interested in hiking longer. Snorkeling excursions allow visitors to head below the water’s surface and discover the incredible marine life for which the Galapagos are renowned. Little or no experience is required, with instruction and all gear available as part of cruise itineraries. Scuba diving is an undeniable highlight for those with certification, venturing into deeper waters for drift dives along steep walls or exploring the boulder-strewn ocean floor. Home to some of the most beautiful and unique wildlife in the world, The Galapagos Islands are a definite bucket list destination for so many. If you’re interested in travelling to this beautiful part of South America, give one of our Adventure Travel Specialists a call at 604-736-7447 or by sending us a message through our website by clicking the ‘contact us’ button! Give us a call at 604-736-7447 or select the 'contact us' button to send us a message through our website to inquire about an upcoming Andando Galapagos cruise!